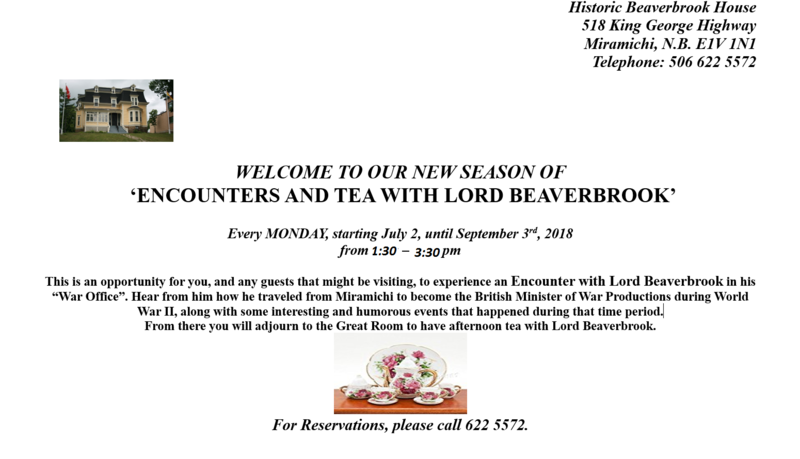 Encounters and Tea with Lord Beaverbrook are back! They only occur on Mondays so, reservations must be made no later than noon on the preceding Saturday. We’d love to have you as our guests! Please call the Historic Beaverbrook House at (506) 622-5572, or e-mail us at beaverbrookhouse@nb.aibn.com, or drop by our office at 518 King George Highway, Miramichi, N.B. This coming Saturday, May 26th, Beaverbrook House in Miramichi is celebrating Lord Beaverbrook Day with an open house from 2:00 pm to 4:00 pm. Join us for free tours of the house; and, of course, some cake and tea or coffee! You can find us at 518 King George Highway in Miramichi, next to the Bell Aliant building. Check out our Facebook Page for more information. 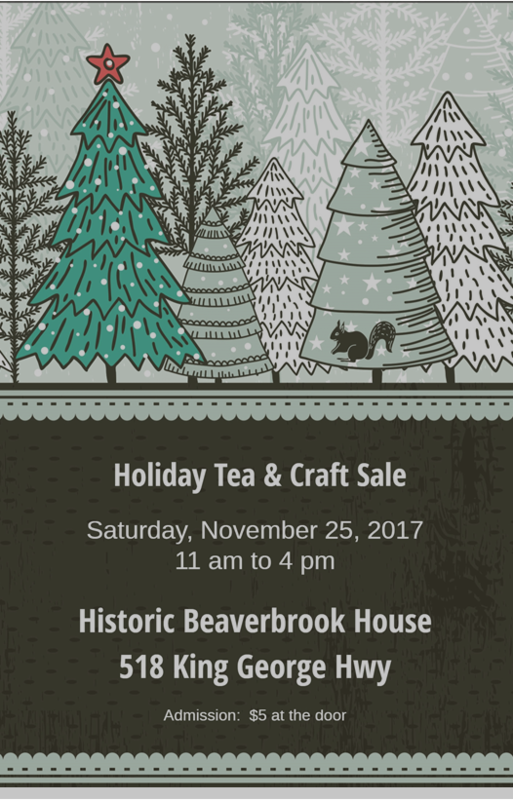 On behalf of the board members of Historic Beaverbrook House, we want to thank you for attending our first Christmas Craft show. We were very happy with the turnout, as were our visitors who saw and purchased excellent crafts and Christmas gifts. Lucky winner of our overflowing gift basket was Mary MacIntosh, of Miramichi and the winner of our 50/50 Draw was Sharon Bateman, also of Miramichi. Our best wishes to one and all. May the joy of the season be with you all throughout the year. Come for tea and scones and meet Sir Maxwell Aiken, Lord Beaverbrook! When: Every Monday this summer at 1:30 pm through August 28th, 2017. 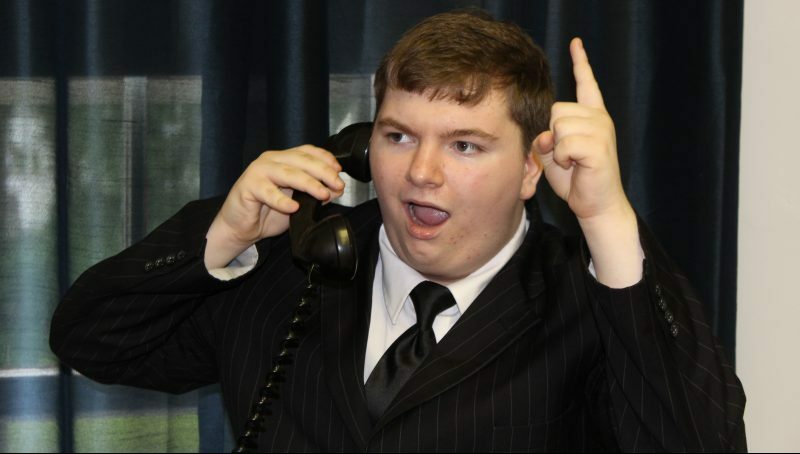 Returning as Lord Beaverbrook, Kevin Brawn! He will give you a glimpse of the man himself, his role in the history of The Battle of Britain, plus hear stories that took place while he served as the Minister of War Production under Sir Winston Churchill, Prime Minister of Britain! Call 622-5572. The fee is $12 per person. 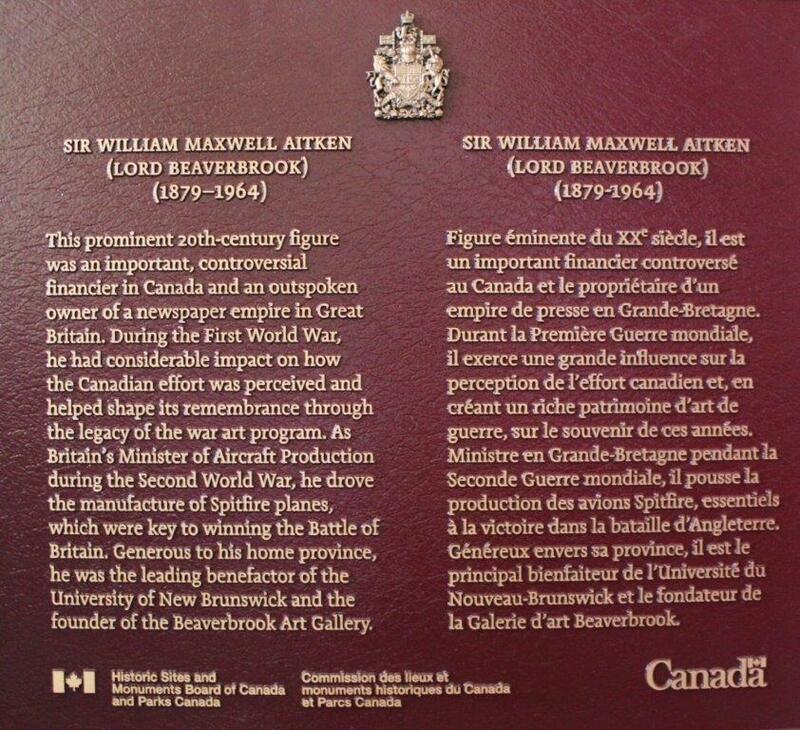 The Beaverbrook Historic House is open Monday to Saturday from 9 am to 5 pm and Sunday from 12 noon to 5 pm. General guided tours are $5, free for children. Beaverbrook Historic House is located at 518 King George Highway in Newcastle, Miramichi. 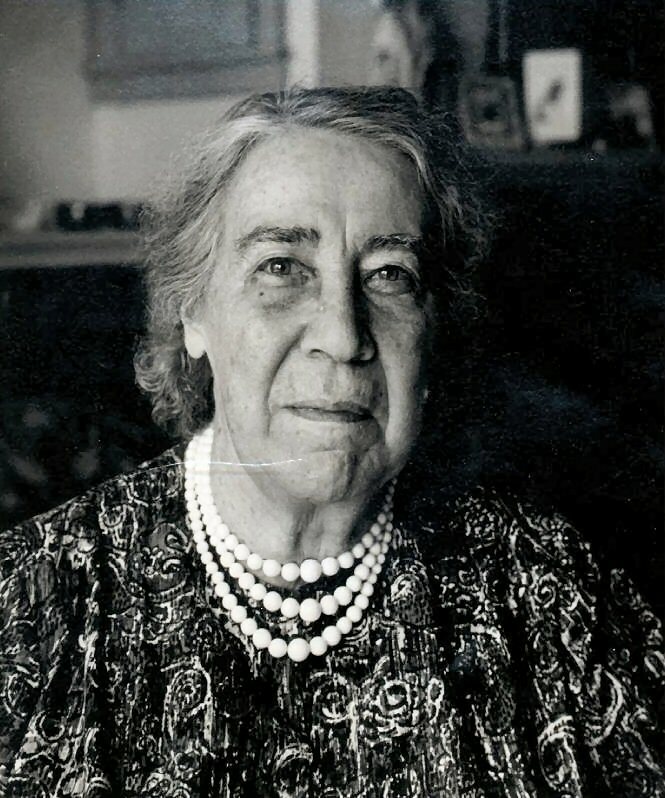 For more information regarding tours or general admission telephone (506)622-5572, visit the website at www.beaverbrookhouse.com, and Like on Facebook. Historic Beaverbrook House presents a special concert with Missy Burgess, sister of Michael Burgess. Advance tickets $15, at the door $20. Tickets on sale at the Historic Beaverbrook House 518 King George Hwy. For info call (506) 622-5572. Will be held from 2-4 pm on Sundays throughout the summer starting July 10th. Reservations are required and admission is $12.